Our kitchen cabinets had significant water damage, and the quotes from other contractors would have been way out of our price range. We had 16 doors to be repainted. Baha and his team came within a week of us contacting them. 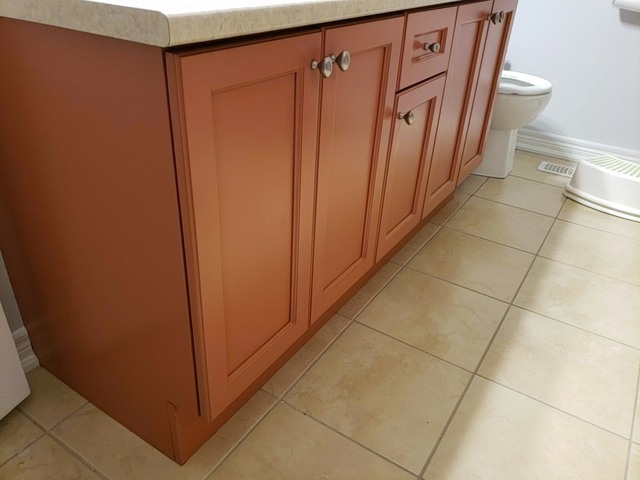 They resurfaced the damaged doors and repainted all the doors and cabinets for a fraction of what other contractors quoted us just to resurface a few doors. They took their time to wait for the paint to fully dry between each coats, even if that meant they had to come an extra half day. The quality of their work far exceeded my expectations. This is the second time we have contacted Rick to come service the Frigidaire washer in our rental property. The first time was over one year ago. Rick has always been prompt to respond to our messages and always arrived to the location on time. Rick came very prepared, he even had a shopvac in case there would be water spilled. Rick was very knowledgeable about the washer and did not take long to find out that there was a piece of garment that slipped through the drum seals and clogged the drainage pipe. He made sure everything was working properly before leaving the place. Rick is very professional and we will definitely use him again. Peter arrived on time and was very prompt with the installation. He explained to me what he would do and answered all my questions. He was very cleaned and had a lot of covers to make sure the attic insulation would not make a mess in the house when he went to the attic.